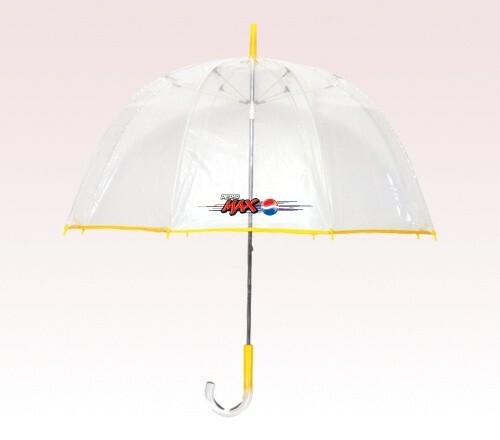 Personalized yellow 48” arc bubble lollipop umbrellas are very unique and they make a great gifting choice for marketers who wish to be remembered for their brand as well as gift. This umbrella can show up from a distance and it can trigger positive impressions within minds of onlookers. This umbrella makes a great fashion accessory in all seasons. People will easily notice those carrying it during a social event or other times. Features - Steel windproof frame, manual open, 48” arc clear - yellow bordered canopy with part yellow handle, ferrule and trim. Dimensions - 48" arc - Closes to 34". Imprint area - 7"W x 6"H.